b. Transducers are rated for submergence. 6. 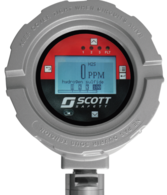 Eldridge gas flow meter is pressure & temp compensated & measures very low flows. Meters & Controls Company is your number one source for professional service. We surpass the competition, in not only price, but customer committment as well. Our company provides unsurpassed products for flow level pressure gas and fire detectors instrumentation services for industrial, municipal, and commercial markets.